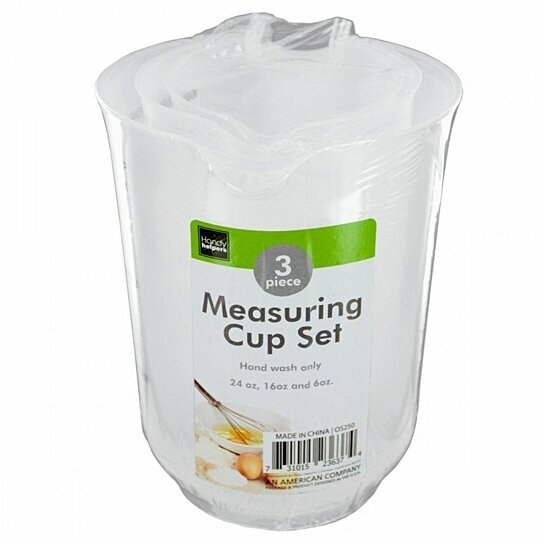 Easily measure dry and liquid ingredients with this 3-piece Plastic Measuring Cup Set featuring durable transparent plastic cups with pour spouts and handles. Cups have measuring mark lines for cups, ounces and milliliters. Includes 24, 16, and 6-ounce cups. Comes shrink wrapped.